If you’ve only had the supermarket variety, you could be forgiven for thinking that tourtière is the French word for torture. The Christmas Eve tradition of eating the previously frozen, dried-out discs of often-under-spiced and over-cooked ground pork is a chore many people with a French Canadian branch somewhere on their family tree have learned to dread. 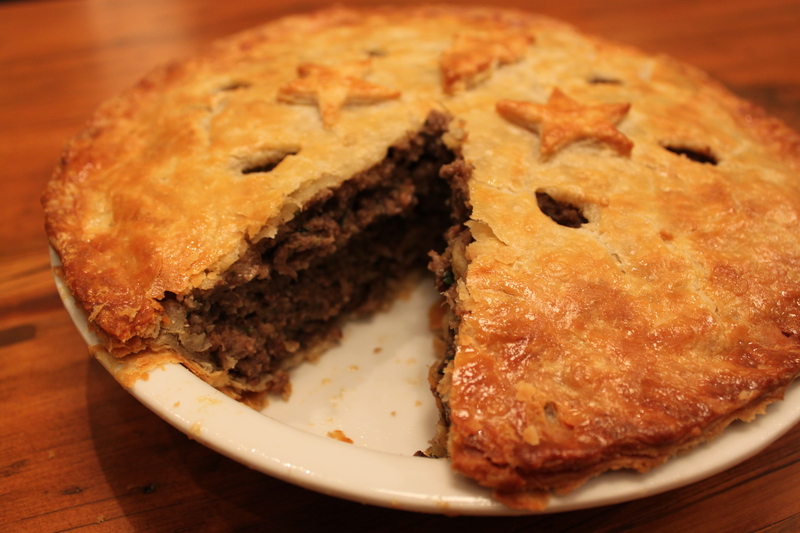 But good tourtière is a treat that deserves a wider audience. You can make tourtière with beef or veal but there’s nothing, to my mind at least, that tops quality pork, delicately spiced with summer savory, cloves and cinnamon and baked in a thin crust of light and ever-so flaky pastry. You really don’t need to have any French connections to look forward to this on Christmas Eve (or any given Sunday, for that matter). Good pork makes a difference. Ours is from a heritage breed (Large Blacks) lovingly raised on a farm close to home. The spice levels are important as well. I like quite a bit; it just seems more like Christmas when you cut into the pie and the air fills with the smell of cinnamon and cloves. 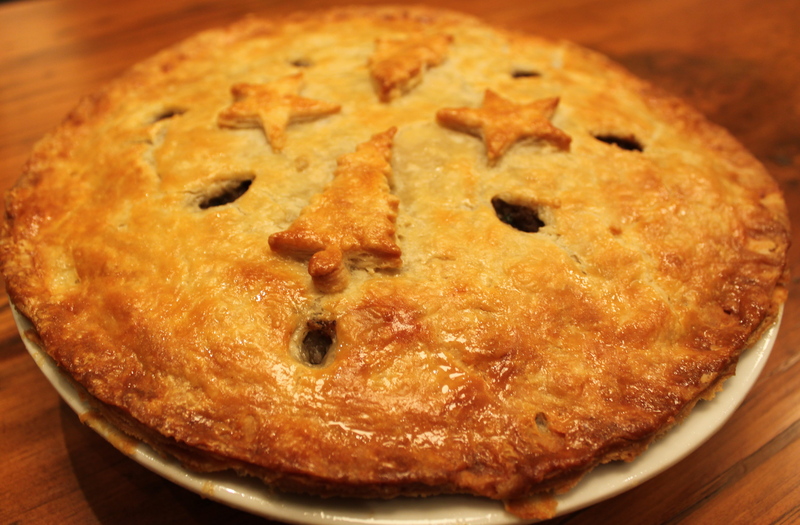 But by all means, tone it down a little if you like (but not too much, under-spiced tourtière is bland). But let me go back to the pastry for a minute because this can really make or break the dish: It must be flaky. Tourtière is already stuffed with meat and bread and it can’t take a heavy load of dough on top of that without becoming unbearably rich. Many people have pie crust recipes they swear by. Here’s mine. In a large pan, sauté the pork in a little oil until no longer pink. Add the stock, spices, onions, celery, garlic and mushrooms, bring to a boil and simmer, uncovered, for 1 hour. Stir in bread crumbs and parsley and combine. Chill mixture. Roll out pie dough and line pie plate. Fill with pork mixture. Cover with dough second piece of dough and decorate with dough cutouts if desired. Cut vents. Beat egg and mix with a splash of water. Brush egg mixture on top of pie. Bake in preheated 375 F oven for 45 minutes. This entry was posted in Breads and Pastries, Main Courses, Meat and Poultry. Bookmark the permalink.